Grab your pigments, some warm wooly socks and a steaming cup of minty hot chocolate for a heartwarming round of festive Christmas coloring. The Christmas coloring book arranges Christmas themes into 12 beautifully balanced mandalas for intermediate and skilled colorists of all ages. Category: Coloring Books. Tags: Christmas Coloring Pages, coloring book: Christmas Mandalas, Holiday Coloring Pages, Popular on Etsy, Winter Coloring Pages. Grab your pigments, some warm wooly socks and a steaming cup of minty hot chocolate for a heartwarming round of festive Christmas coloring. The Christmas coloring book arranges Christmas themes into 12 beautifully balanced mandalas for intermediate and skilled colorists of all ages. View this book’s pages separately by clicking here. 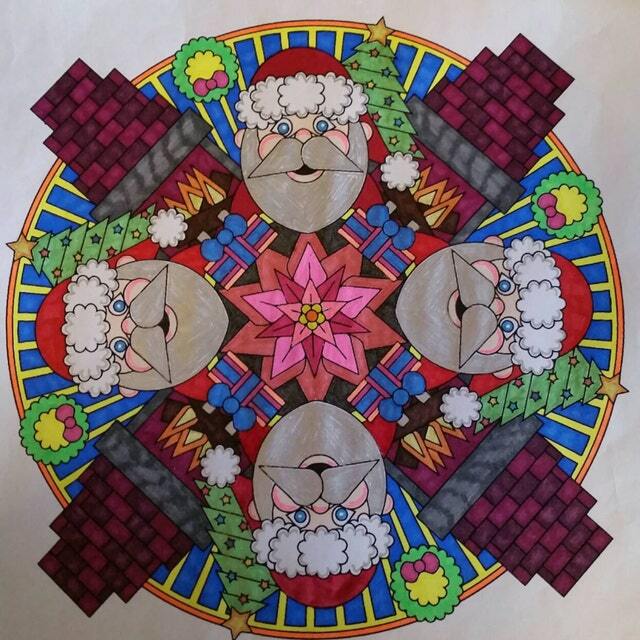 You can also find the Christmas Mandalas coloring book at the Candy Hippie Etsy shop. Etsy review by Linda Walker Howard, June 6 2016.